I hadn’t realised quite how badly I’d been affected by my reading of “Grey Souls” until I came to try to pick up another book – and found it almost impossible to get into one! I’ve definitely been struggling a little with choosing my volumes recently, and nothing I touched appealed – I’ve just been putting everything aside after the first few pages. However, I finally got over my stumbling block (or reader’s block!) 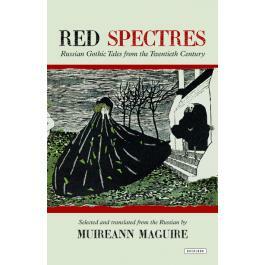 by pulling “Red Spectres” from my pile of Christmas gifts, and it turned out to be exactly the tonic I needed. 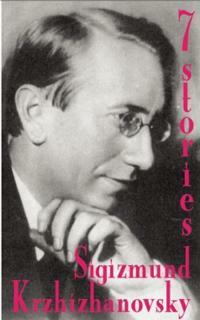 The book is a collection of short stories in the Gothic vein, all written under Soviet rule. Now, Russia under the Bolsheviks is perhaps not a place you would expect this type of writing to flourish, but it very obviously did – maybe because this was a good way to disguise political comment, or maybe because it was a way of writing that was so far removed from politics that it was safe. Whatever the reason, there is a whole genre here, and translator Muireann Maguire has actually written a book on the subject as well as collecting and translating the stories in this volume. And what crackers they are! It was the fact that there were stories by Bulgakov and Krzhizhanovsky in it that first attracted my eye to Red Spectres – and in fact all but two of the tales are translated for the first time. It’s a fascinating and collection of stories, ranging from tales of ghosts and mirrors, through science gone wrong to seances that only call up the NKVD! Bulgakov is represented by two works: The Red Crown, a civil story of haunting, and A Seance, a wry comment on the clash between superstition and modern ideology. And the new Krzhizhanovsky is a dark story about a medical dummy that comes to live in a quite unnerving manner and lives through the years of turmoil in Russia. 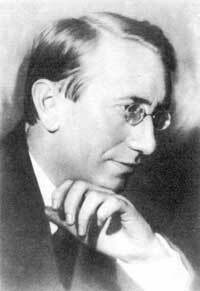 But the real revelation to me was the discovery of Aleksandr Chayanov; an agronomist by day, he also wrote 5 short stories and a novel. Maguire has translated three of these, and they’re a standout in the collection. “The Tale of the Hairdresser’s Mannequin” tells of a man consumed by an obssession with the original woman who inspired a mannequin, one of a pair of Siamese twins, and his quest to track her down; “Venediktov” (which has the distinction of having inspired Bulgakov’s “The Master and Margarita”), is a story of devilish possession and pursuit through Moscow; and “The Venetian Mirror” (one of two marvellous mirror stories in the collection) plays on our uneasiness with the reflected world and our fascination with the possibility of entering it. His writing is excellent and evocative, and the storytelling compelling. Each tale in the collection is a gem in its own right, and put together here they produce a most marvellous book; excellently translated and notated by Maguire, with an informative introduction, this is definitely one of my books of the year – I can’t recommend it highly enough. It’s ideal reading if you have an interest in Russian literature, in the Gothic genre, in the development of writing under the Soviets, or simply if you love good short stories. A wonderful book, and just the thing to pull me out of my reading slump! Red Spectres is published by Overlook, who have a history of producing Russian translation, and this is a lovely hardback edition too! For those interested in the subject Maguire has also published “Stalin’s Ghosts”, a study of supernatural fiction in early Soviet Russia, which sounds fascinating! Check out Russian Dinosaur for more about translating the stories for Red Spectres. Shiny New Books goes Live!! Great excitement in the book blogging world, as Shiny New Books, the online book recommendation magazine goes live! Make sure you drop in here to have a look! I’ve popped in briefly and there is an amazing and impressive amount of content – from reviews of new volumes, reprints, fiction and non-fiction, and a fascinating-looking Bookbuzz section with all sorts of literature-related items! Can’t wait to read it all! 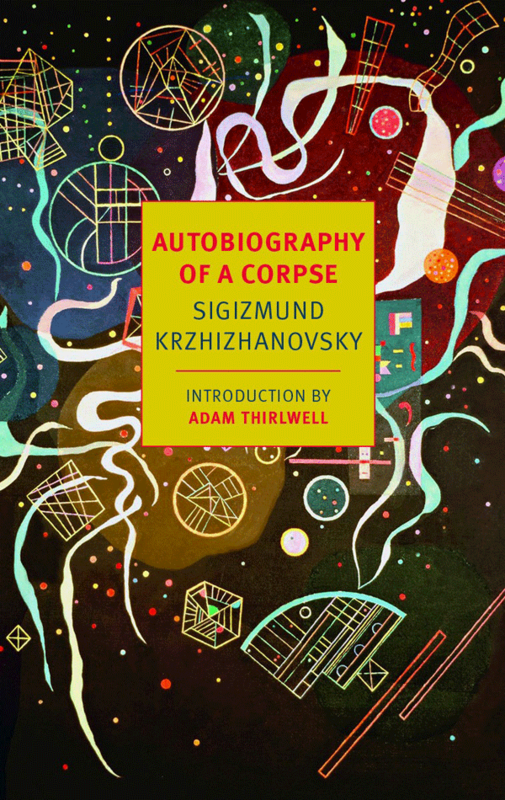 “Autobiography of a Corpse” is the latest selection of Sigizmund Krzhizhanovsky’s stories to be collected by NYRB, and it’s a cracker – a wonderful book of strange and thought-provoking fables. 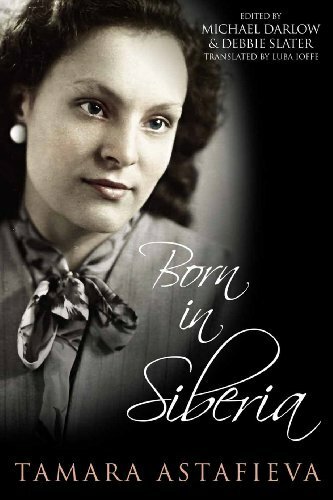 “Born in Siberia” is a deeply personal memoir of Tamara Astafieva, a woman who’s lived through the Soviet era and into modern Russia, with stories stretching back to the revolution. It’s moving and fascinating and I was very glad to be given the chance to read and review it. Shiny New Books promises to have a wealth of lovely bookish reading – so make sure you visit and sign up for the newsletter! 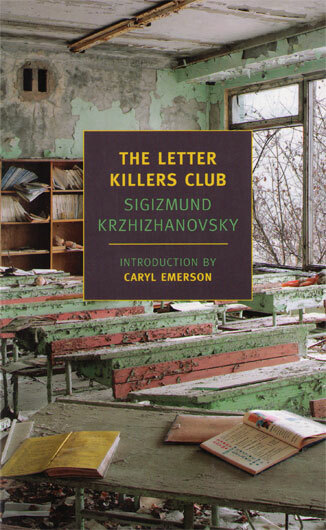 “The Letter Killers Club” by SK is the last of his volumes currently available in English and the longest single piece so far published by NYRB or Glas – it’s novella length at just over 100 pages. I confess to approaching this one with great anticipation, but also a little trepidation as the subject is books – or rather, the absence of them! Writers are professional killers of conceptions. The logic of the Letter Killers Club, a secret society of “conceivers” who commit nothing to paper on principle, is strict and uncompromising. Every Saturday they meet in a fire-lit room hung with blank black bookshelves to present their “pure and unsubstantiated” conceptions: a rehearsal of Hamlet hijacked by an actor who vanishes with the role; the double life of a medieval merry cleric derailed by a costume change; a machine-run world that imprisons men’s minds while conscripting their bodies; a dead Roman scribe stranded this side of the River Acheron. The overarching scene of this short novel is set in Soviet Moscow, in the ominous 1920s. Known only by pseudonym, like Chesterton’s anarchists in fin-de-siècle London, the Letter Killers are as mistrustful of one another as they are mesmerized by their despotic president. Sigizmund Krzhizhanovsky is at his philosophical and fantastical best in this extended meditation on madness and silence, the word and the soul unbound. Hyperbole? I don’t think so, although I’m not sure I’m in the best position to do a rational, measured review of this book because I just came out of a bit boggled at the brilliance of the concepts and the writing. This is a book I need to read again in a more considered manner, now that I know what actually happens, in order to really judge it properly. But here goes anyway. The domineering president explains that pure stories do not exist as trapped by letters but only as verbal tales, and each week one of the attendees relates a story to the other members. There is a tension in the air during these meetings, as if not all the members approve of the lack of paper with symbols on it – in fact, one member actually has written notes which crackle and give him away, so they are burned. In Soviet Russia, the written word could kill you – so it is no surprise that the members of the Letter Killers Club refuse to commit their titles to paper. The narrator is intrigued by one particular member of the group, Rar, and attempts to talk to him outside the meeting, where Rar reveals the reason they have asked the observer to come along to the meetings. But the group implodes with the unexpected death of one of its members, which brings an end to the gatherings. It is left to the narrator to break the cardinal rule of the Club and commit his experiences to paper – but with what consequences is never revealed. That’s just a superficial reading – but what of the stories-within-the-story? Well, there are actually five chapters with individual conceptions, and these are all excellent in their own right – tales which could have been expanded or presented as one of SK’s own short stories. The Hamlet story from Rar dips into the idea of the double (a regular theme in Russian literature) and also ponders on the authenticity or not of an actor’s rendition of a famous part – is each one creating a different version of the character? Tyd presents the merry olde cleric story which is actually two stories with similar character names but different plots and features a double of sorts. The centrepiece story is a long, fantastical tale by Das about “Exes” (i.e. external or ex-people), telling of a futuristic world where a scientific experiment has enabled the ruling class to detach people’s brains from the control of their muscles, isolating their thought processes and producing an army of automatons – the ultimate totalitarian state. It’s superbly written, mind-boggling and inventive, and very telling about the desire for control and power. The writing and sweeping imagination displayed in this particular story took my breath away – pages 62 and 63 are in particular wonderful pieces of prose, but too long to quote here. Firstly the madmen are “converted”, then the dissenters and finally everyone not of the ruling elite – a simple allegory of life under Soviet rule? Not quite – this could be any totalitarian state, not just Soviet Russia. Fev’s tale is a weird fable of three characters with a travelling dispute about why God created the mouth. And the final story, from Mov, deals with death and payment of dues, with the various members of the club offering alternate resolutions to the tale. This resonates with the fate of the members of the club and leads the reader on to wonder how much of each conceiver we should see in his story – and indeed how much of SK we should look for hidden away in his work. So, putting these concepts aside, it’s worth considering what SK is actually trying to do with this novella. The subject of the art of storytelling is one which recurs often in his work (or at least that which is available so far in English!) and he’s featured the idea in at least two other stories I’ve read – “Someone Else’s Theme” and “The Bookmark”. In this novella hunting of themes and telling of stories and is taken to its logical conclusion – no story can be written down. Russia has a strong bardic tradition (as do most old countries) and using the written word to contain and set in stone stories is relatively recent – in fact, it could be argued that by imprisoning a story in a finalised form, a writer is actually killing what in the oral tradition would have been a living, breathing organism, expanded and improved upon and polished as the bard told it over and over again. Each of these tales has a message or moral of its own, but has the narrator damaged this by fixing the stories in a permanent form? SK was very much a theme-catcher himself, a conceiver, and many of his short stories are more like sketches or outlines than traditional stories. It is a form he seems to excel in and even this, notionally a novella, is more like a collection of briefer works. He had an astonishingly fertile mind and it must have caused him some hardship to simply stop writing stories in 1941 (SK had finally had a collection of stories approved for publication, when the German invasion put a halt to this and he never wrote another one). 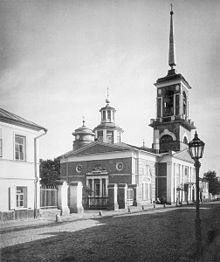 The Arbat in the 1920s, where SK lived in a tiny room. Of course, there is also the aspect of storytelling in the Soviet world, something I’ve touched upon quite a lot recently on this blog, particularly in my comments on Bulgakov. The 1920s and 1930s in particular were a dangerous age to be an artist in Russia, and the real writing of the era was buried, hidden in drawers or sometimes even in minds. 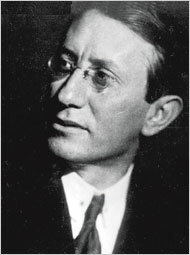 There are many recorded cases of writers memorising their work and destroying the paper copy (Akhmatova’s Requiem, for example), which leaves the chilling realization (after reading Das’s story) that if the mind was then separated from the rest of the body by sinister machines (“ether winds”), the stories would be lost forever. SK seems to have shared MB’s mistrust of science, although SK goes into much more depth with his fictional scientific concepts. Many seem to have a basis in real science or philosophy and they are sometimes hard to grasp, so the notes in this volume are very useful (if not essential!) Bulgakov’s attitude toward other writers in the Soviet system (see particularly “The Master and Margarita”) is very scathing. And they both share such superficial features as the housing problem and the ubiquitous appearance of the primus stove! SK was just as much affected by the inability to publish as was Bulgakov – he described himself: “I am a crossed out person” which could well apply to B – but the work he produced in reaction to this is very different. SK’s stories look inward to the craft of storytelling itself, the hunting down of themes and the oral tradition. The world of dreams appears more than once, but these stories are perhaps more elusive than MB’s. Bulgakov’s fictions are also fantastical and surreal but in a more biting, obviously satirical way, and perhaps wider in range – particularly with “The Master and Margarita” – although I’ve only so far read a fraction of SK’s work so it might be too early to judge. Although there are superficial similarities and influences in these two Kievan writers, in the end there is no point in comparing them – both produce greatly individual works of genius which still speak to us down the decades. So is this SK’s main statement on the place of artists under totalitarian rule? That remains to be seen when more of his work is translated into English. I’ve been very mentally stimulated by the work of SK I’ve read so far, and enjoyed it very much – carry on producing these originals, please, NYRB! 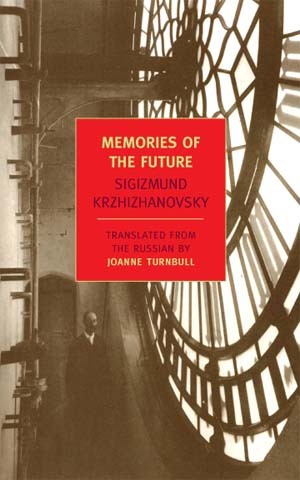 After my recent read of SK’s “Memories of the Future” (review here) I did a bit of digging about on the Interweb and found that his work was first published in English by Glas with their collection “7 Stories”, published in 2006. The stories are also translated by Joanne Turnbull, who is shaping up to be the dedicated translator of SK, in much the same way as Robert Chandler is connected with Platonov’s writings. The introduction is useful and informative (though it isn’t stated who wrote it). The asterisked ones are new to me, as the others feature in “Memories…”, and these four are corkers! “In the Pupil” is a strange tale of the narrator’s love for a woman and as he falls for her and she for him, he spots a little man in her eye – a reflected image of himself who seems to have an existence of his own. The narrator becomes fixated upon this little man, always looking to see him when he meets his love, until one day he mentions it to her. She dismisses his comment scornfully, and the little man is seen waving goodbye and walking away. The affair continues unconvincingly until suddenly the little man manages to escape one day and tells his tale to the narrator, of how all the images of all the women’s previous lovers live inside her head, jockeying for position, but with the certainty that the first love will also take priority. The narrator tries to pop the little man back into his eye, with tragic consequences.The story is apparently representative of SK’s views on relations between men and women, as he lived separately from his long-term partner, Anna Bovshek, until his last illness forced him to move in with her. “The Runaway Fingers” tells the tale of a pianist’s hand that makes its escape from the owner and runs off into the streets, where it finds that freedom comes at a price. In “The Unbitten Elbow” a citizen who is trying to bite his own elbow becomes a media sensation, spawning philosophical systems, lotteries and political machinations. “Yellow Coal” is a remarkable story. As R.H. (presumably translator Robert?) Chandler has pointed out in his review of “Memories of the Future” on Amazon.com, this tale “anticipates global warming. It is set in a time when we have run out of coal and oil and the sun is drying up our reserves of water”, which is remarkable when you think when SK was writing. The authorities offer a reward for a solution and one scientist, after stumbling one day from his protective motor car out into the real world of rushing, bustling people, recognises the human emotion of spite as a source of energy which can be exploited. SK goes on to spin an imaginative and fanciful yarn about the rise and fall of this energy source, which eventually self-destructs by lulling humans into a bland, self-satisfied comfortable state where they are no longer spiteful. The world around him was illogical and one of the ways to fight it was with logic and the absurd. It is really not surprising that the Soviet authorities could not deal with them and in fact two of the pieces in this collection (TRF and TUE) are the only two works of SK’s published during his lifetime. Like his fellow Kievan author, Mikhail Bulgakov (who died the same year as SK), Krzhizhanovsky’s brand of surreal writing was a world away from socialist realism and both were well aware that the kind of literature that was allowed in Soviet Russia was basically a dead art form. The unpublishable Russians have had to bide their time and save their work for an era that wants more than just bland, mass-produced pap (although there is plenty of that still out there nowadays). I’m mightily glad that SK’s works survived until the thaw which has allowed them to make their way out into the wider world – I believe there are more volumes to come from NYRB which is excellent news!